This latest remix is yet another classic from the Caellus & Camulus catalogue. The track starts off in a much more traditional manner than some of their other recent releases – the vibe is set, strong and fast; classic rhythms to get you hyped up from the offset. Then as the music begins to unfold, the ever beautiful World Of Caellus sound just pours over you. The synths and effects and notes chosen for this peace weave an ever hypnotic warmth around you as you listen. The music storms through your senses, leaving no space for you to think or catch your breath until at least 3 minutes in. It’s sublime to listen alone, at full volume, through a respectable set of headphones – there is definitely something about it that makes you crave a live performance though. After that three minute mark, the wonder of this spectrum of work created by Caellus & Camulus shines its familiar and all encompassing light. As is always the case; these are not just songs, this is not just a track for the sake of putting out a track – everything released here is an absolute journey. It’s an experience to listen, and as mentioned previously, there’s a stunning fusion of nostalgia and optimism – the past and the future, joining forces for this dream-like ambiance, which pulls you away from your daily struggles with great strength and substance. This is the music to return to again and again in times of need. These cinematic soundscapes leave no room for you to fret about insignificant issues. It’s a stunning effect, and it bares stating that there really aren’t many artists putting quite this much creativity and energy and effort into electronic releases these days. There’s something about this sound that feels very now, or even beyond now; like a live performance from tomorrow’s orchestra. 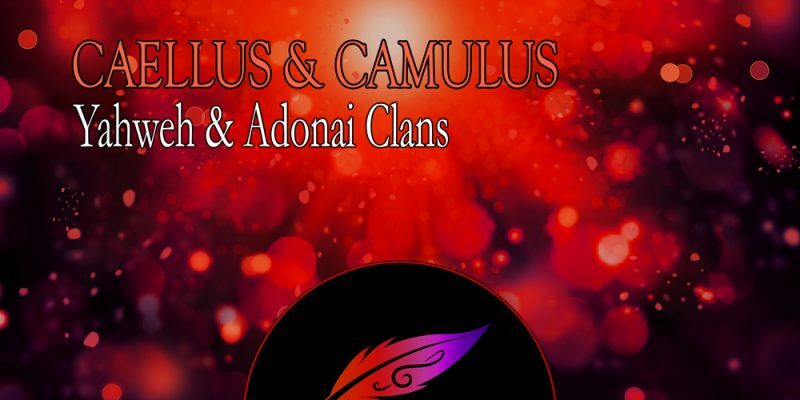 Check out Caellus & Camulus over on Facebook, Instagram and Tumblr.